Chicago’s Hillary Rushe entered the Women’s Pro Singles final as the defending champion and seeking to be the first women’s star to repeat in Maumee since Megan Dorneker in 2015. Dr. Ashley Moler was seeking her first 3-Wall Women’s Pro Singles title on the heels of her career-best win against nine-time 3-Wall national champion Megan Dorneker in yesterday’s semifinal. Dr. Moler picked up where she left off in yesterday’s semifinal, taking game one in a rematch of last year’s women’s final against Rushe on a chilly Monday morning. Dr. Moler employed a combination of power serves, kills, and deep drives to keep the defending champion off-balance in game one and looked to be on her way to her first singles title in Maumee. Rushe roared back in game two, seizing the momentum and never allowing Moler into the game to force a tiebreaker. Trading great kills and passes, Rushe ultimately led 10-8 in the tiebreaker. Dr. Moler battled back, earning a side out and eventually serving for the championship at 10-10. Moler’s comeback stalled at 10, as Rushe was able to force a side out and win the match on her fourth match point. 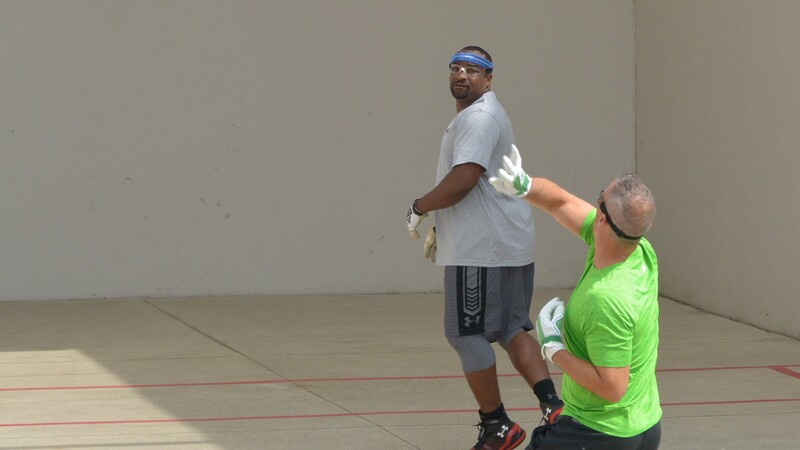 With WPH Outdoor ranking points available to the winners of the 1-Wall and 3-Wall Big Ball doubles, the action was intense on Labor Day in Maumee. 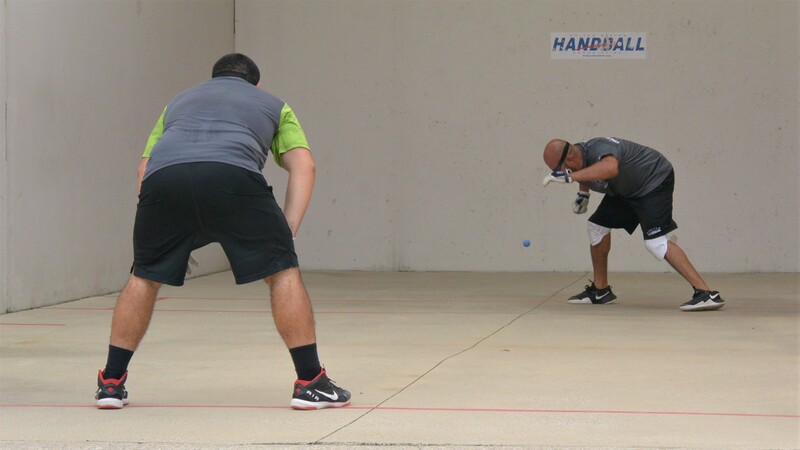 New York’s Chris Miranda and Allan Sanchez dominated the 1-Wall Big Ball Doubles field, outscoring their semifinal and finals opponents by a combined 84-19. Team Miranda/Sanchez had little difficulty with an exhausted Team Bastidas in the final, making quick work of the Bash Brothers. Shorty Ruiz was seeking his second consecutive 3-Wall Big Ball National Doubles title in Maumee. Team Miranda/Sanchez were aiming for a Big Ball sweep in the 3-Wall Big Ball final and started promisingly, taking game one 21-14. Shorty Ruiz and Carlos Lemus relied on their 3-Wall experience and skill to take control after dropping game one, cruising to the title in the second and third games. Thank you to the USHA staff, Vern Roberts, Matt Krueger, and all of the volunteers, referees, fans, and players for making this year’s Three-Wall National Championships a great event. Go to ushandball.org and wphlive.tv for daily recaps from the 67th USHA Three-Wall Nationals. Sean Lenning and Tyree Bastidas met for the fourth consecutive year in the Men’s Pro Singles final at the Lucas County Rec Center, with Lenning winning the previous three finals encounters without dropping a game. Lenning took control of the final early, dominating all aspects of the match against the former 1-Wall and 3-Wall national singles champion. “Lenning’s serves were on point in game one,” stated WPH reporter and Canadian R48 star Ryan Bowler. Lenning cruised in game one in just 14 minutes, 21-4. Lenning kept his foot on the gas in game two, never allowing Bastidas into the match. “Not only was his serve working, but Sean overpowered Tyree in the rallies,” stated Bowler. “Tyree’s only scoring opportunities are fly kills after a great serve.” Game two featured a lot of long rallies, most of them won by Lenning. “Sean was using his left in the front court effectively and mostly using his right from the back court,” stated Bowler. Lenning allowed just 17 points in the semifinals and finals combined, proving for the ninth time that he is an unstoppable force in Small Ball 3-Wall. 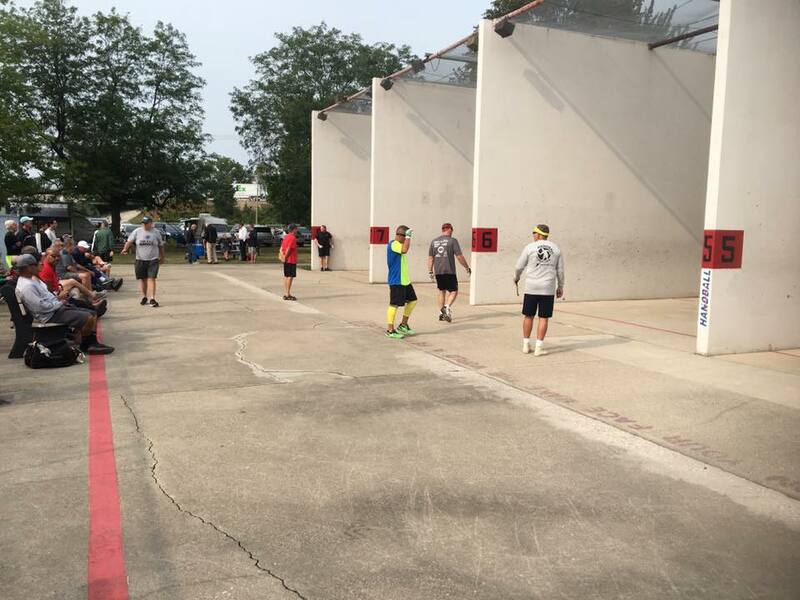 Sean Lenning and Marcos Chavez were seeking their third consecutive 3-Wall national doubles title in Maumee and looked sharp en route to their third consecutive final, dispatching Team Szatkowski in two games in the upper bracket semifinal. The Bash Brothers, Tyree and Jurell Bastidas overcame Team Shorty Ruiz/Bill Mehilos in two games in the bottom bracket semifinals to set a date with Team Lenning/Chavez on Monday morning. Defending champion Hillary Rushe had little difficulty in overcoming the University of Texas’ Kristen Hughes, cruising in two games to keep her repeat bid alive. Dr. Ashley Moler entered her bottom bracket semifinal with Megan Dorneker having never defeated Dorneker in 3-Wall and seeking her second consecutive 3-Wall final. Dr. Moler emphatically denied Dorneker’s bid to win her tenth women’s singles title in Maumee, overpowering the Chicago legend with fist drives and overhand pass shots. Dr. Moler earned the biggest win of her career and will aim to defeat Rushe in Monday’s final. Singles finalists Ashely Moler and Hillary Rushe teamed up to dominate the Women’s Pro Doubles, assuring that one of the two finalists on Monday will slam. Team Moler/Rushe outscored their four opponents 168-48 en route to the title. 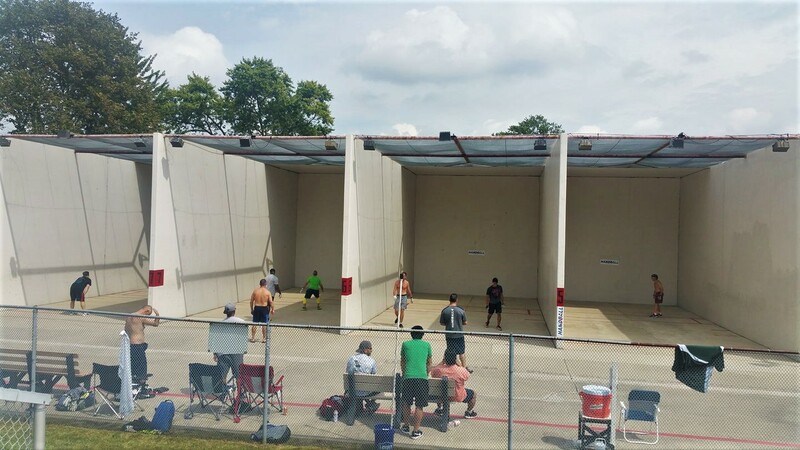 WPH Outdoor was thrilled to present its sixth ranking event of the WPH Outdoor 6 season at the 67th USHA Three-Wall Nationals during Labor Day Weekend, featuring Men’s 3-Wall Big Ball Doubles and Men’s 3-Wall 1-Wall Big Ball Doubles. The Big Ball brackets at the USHA Three-Wall Nationals provided the final opportunity for WPH Outdoor stars to earn ranking points before the WPH Outdoor 6 season finale at the 3WallBall Outdoor World Championships in Las Vegas, September 21-24, 2017. 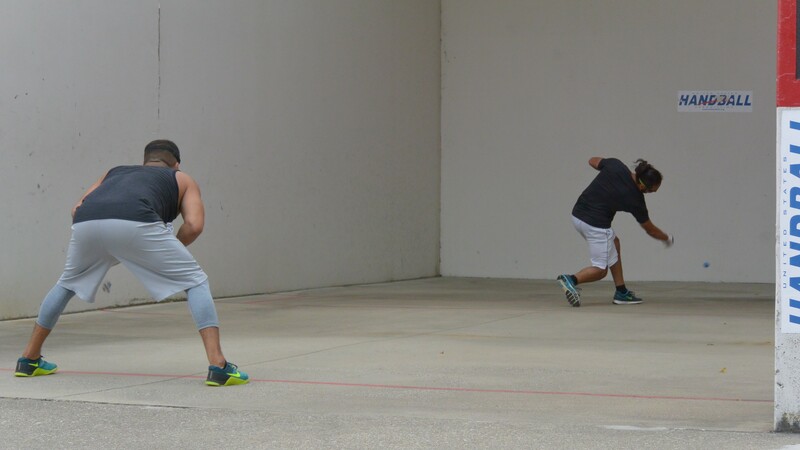 1-Wall Big Ball Doubles top seeds Chris Miranda and Allan Sanchez advanced to the final in the upper bracket, while Team Bastidas cruised in the bottom bracket to make Monday’s 1-Wall final an all New York affair. 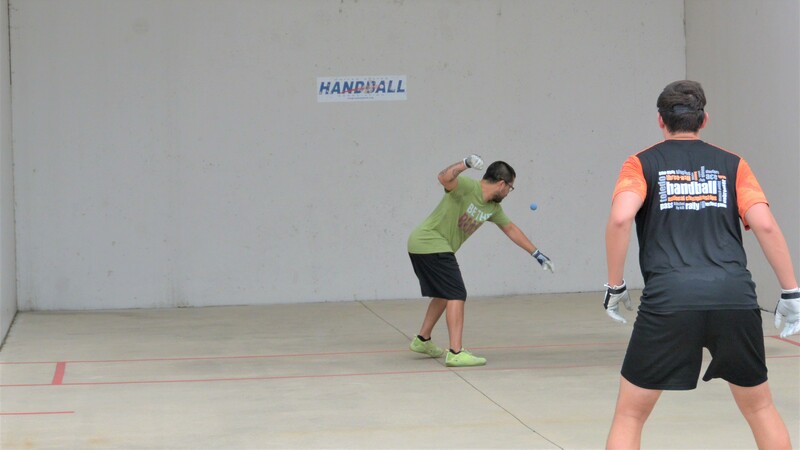 New York’s Team Miranda/Sanchez proved their Big Ball skills translated to 3-Wall, advancing to the 3-Wall final with a bottom bracket semifinal win against The Great Dane Szatkowski and Kevin Greco. In the upper bracket, top seed Shorty Ruiz and Carlos Lemus cruised to the final against Marco Lemus and Dan Valera. The third consecutive perfect day greeted players at Lucas County Rec Center and the 67th USHA Three-Wall Nationals. 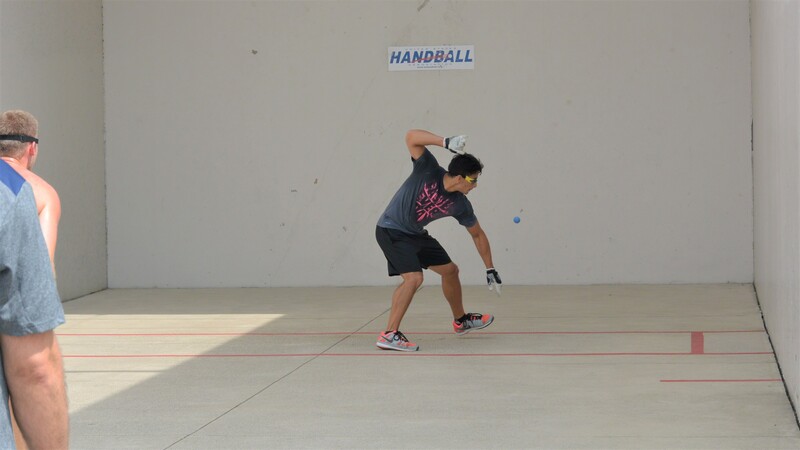 Saturday’s attention focused on the Men’s Pro semifinals, with the four dynamic outdoor handball superstars vying for spots in Sunday’s final. In addition to the Men’s Pro Singles final, Sunday will feature Women’s Pro Singles, Men’s Pro Doubles, and WPH Outdoor 1-Wall and 3-Wall Big Ball Doubles. 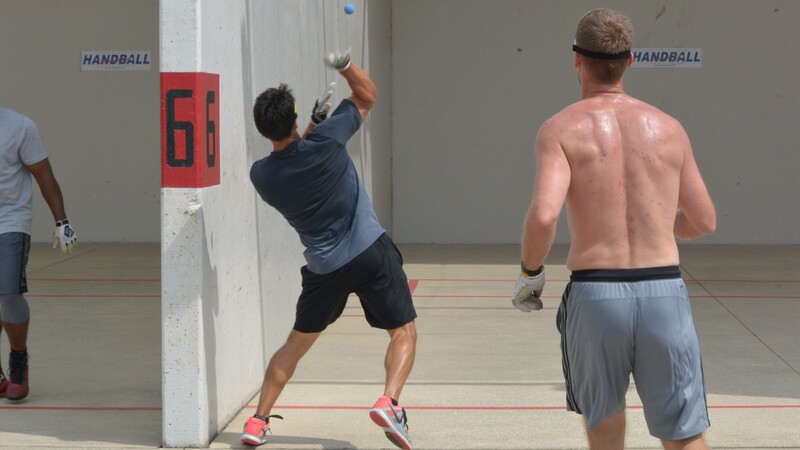 Pleasant 65-degree temperatures greeted the greatest 3-Wall Small Ball players in the world on Friday at the 67th USHA National Three-Wall Championships, featuring the Men’s Pro Singles quarterfinals. Defending champion and 3-Wall living legend Sean Lenning faced a stern test from his Northwest counterpart Dalton Beall, as Beall was able to impose his varied attack on “The Freak.” After dropping game one, Beall led 17-11 in game two. Despite appearing to be tired, Lenning rattled off 10 of the final 11 points of the match to advance to Saturday’s semifinal. Arguably the game’s hardest hitter and fittest man Jurell Bastidas faced Chicago’s 3-Wall superstar Marco Lemus in the second upper bracket semifinal. Jurell overwhelmed Lemus in game one, dominating the action with a serve that consistently hit just eight inches high on the front wall. 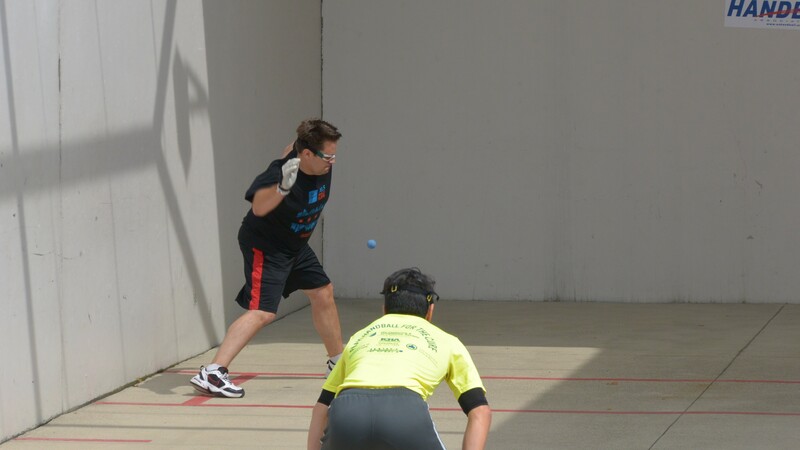 Lemus showed his heart and skills in game two, imposing his high two-handed power game on Bastidas. Lemus overcame match point in game two to force a tiebreaker and would hold a match point of his own in the tiebreaker. This time it would be Bastidas who fought off match point, keeping his hopes alive for his first 3-Wall singles national title by overcoming Lemus and prevailing in an 11-10 thriller. Shorty Ruiz entered his quarterfinal brimming with warranted confidence, having won the 3WallBall Outdoor World Championships last fall, as well as LaGrange this summer. Ruiz continued to fine-tune his game in Tucson throughout the summer, sparring with several R48 stars. Despite being seeded third, perennial Maumee contender Dane Sztakowski entered Maumee under the radar. Ruiz was sharp in game one, executing his game plan en route to a 21-11 first game win. Known for his comebacks, Szatkowski rallied in game two, playing even with Ruiz throughout the nearly 60-minute game. “The Great Dane” would face match point in game two but demonstrated his nerves of steel and “escapeability” to force a tiebreaker. TGD seized the momentum in the tiebreaker, taking control and ousting Ruiz 11-7. “Dane just played really well,” stated Ruiz. Sean Lenning will be gunning for his ninth singles title and sixth in seven years in a remarkable run that has solidified “The Freak” as one of the game’s greatest outdoor stars. Lenning will have to contend with perennial rivals Tyree Bastidas and Shorty Ruiz, both seeking to dethrone the king of 3-Wall. Joining Lenning, Bastidas, and Ruiz in the draw were dangerous floaters Marco Lemus, Jurell Bastidas, Ryan Bowler, Dalton Beall, Cody Townsend, Ivan Burgos, Matt Chu, Dane Szatkowski, Tyler Stevens, Juan Canales, and Anthony Collado. 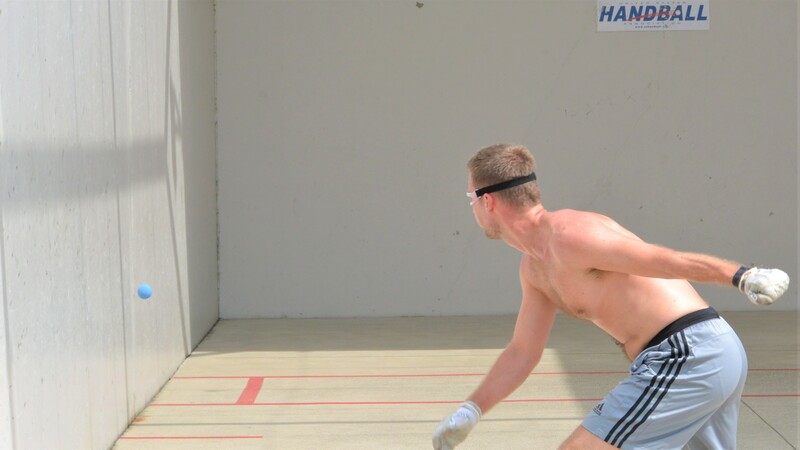 Megan Dorneker will be seeking her tenth pro singles title in Maumee, making her one of handball’s most dominant outdoor champions in history. To win number 10, Dorneker will need to overcame defending champion and Women’s Race 4 Eight #12 Hilary Rushe, Women’s Race 4 Eight #8 Ashley Moler, and Texas’ Kristen Hughes. In addition to the exciting Small Ball action, WPH Outdoor is thrilled to present its sixth ranking event of the WPH Outdoor 6 season at the 67th USHA Three-Wall Nationals during Labor Day Weekend, featuring Men’s 3-Wall Big Ball Doubles and Men’s 3-Wall 1-Wall Big Ball Doubles. The Big Ball brackets at the USHA Three-Wall Nationals will provide the final opportunity for WPH Outdoor stars to earn ranking points before the WPH Outdoor 6 season finale at the 3WallBall Outdoor World Championships in Las Vegas, September 21-24, 2017. Follow this thread daily for updates from Maumee. 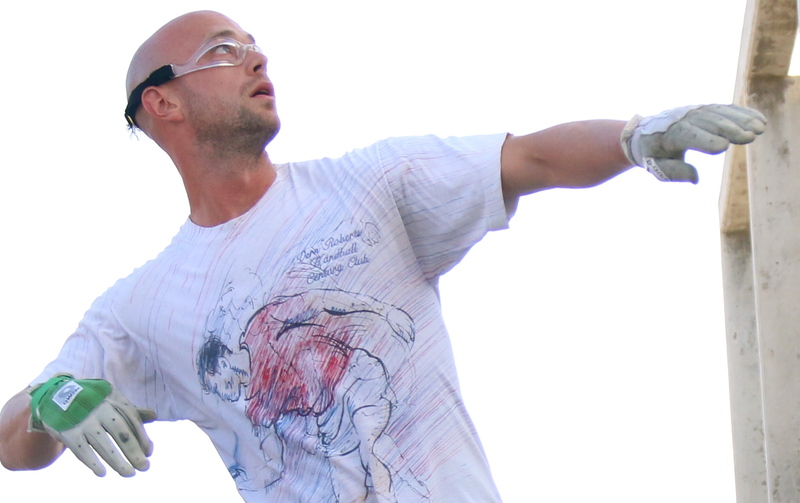 The Men’s pro kicked off on Thursday, with many of the game’s 3-Wall greats in action. Oregon’s top R48 star Dalton Beall overcame Juarez’s youngest R48 pro Juan Canales to setup a quarterfinal with defending champion Sean Lenning on Friday. 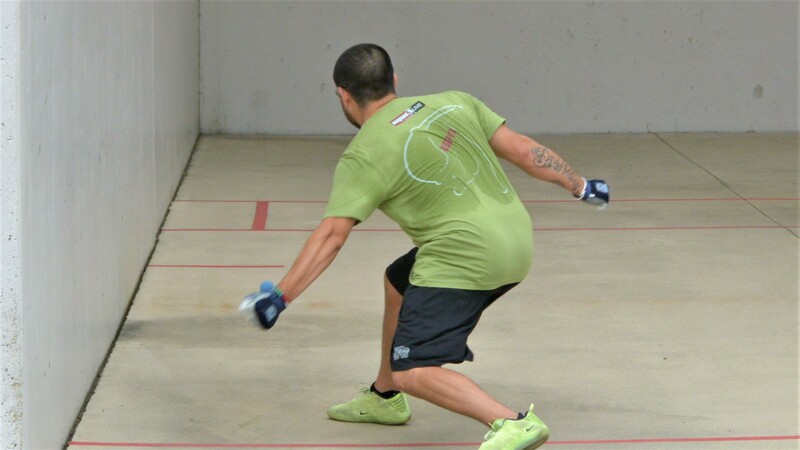 1-Wall specialist and former Vegas 3 WallBall champion Jurell Bastidas ousted Canadian R48 standout Ryan Bowler to advance to Friday quarterfinals, setting up a Friday clash with Chicago’s Marco Lemus, who overcame New York’s Matt Chu. The bottom bracket saw veteran 3-Wall contender Dane Szatkowski overwhelm Canadian prodigy Ivan Burgos to book a quarterfinal date with current 3WallBall World Champion Shorty Ruiz, who defeated Northern California’s Anthony Collado to advance to Friday’s round of 8. The match of the day pitted Oregon’s Cody Townsend against local favorite Tyler Stevens. After splitting the first two games, the two power hitters bashed their way to a 10-all tie in the decider. After fighting off match point, Townsend booked his spot in the quarterfinals against Tyree Bastidas in an 11-10 thriller.